Crafts like scrapbooking and card making are wonderful hobbies and a creative outlets for many, but they can become very expensive. The cost of embellishments alone can cramp your style, but here’s an idea for the do-it-yourselfer. Why not use all those fun papers, fabric scraps, and doo-dads to make your own embellishments? The easiest embellishments to start with are tags. The great thing about printing your own tags is that you are no longer limited to certain styles and colors, because you can have tags of any size, shape and design just by touching a printer button and selecting the cardstock of your choice. 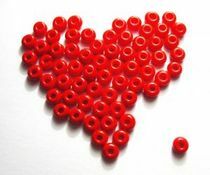 Once you have cut out your tags, simply punch a hole in them with a hole punch or a small craft punch. Decorate your tags by cutting off short lengths of fibers and threading them through the hole. Choose toning or contrasting colors and your tag will come alive! Fun fibers like yarns and embroidery silks are not expensive and come in a huge range of colors and styles. You can get beautiful metallic silks or multi-colored silks at reasonable prices. And you really get a lot of fiber for your money. 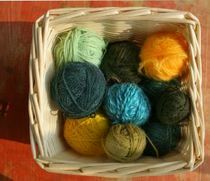 Plus, one ball of yarn alone will give you lots of fiber for use in your craft projects for years to come. Think outside the box when it comes to threads, fibers, and yarns. Be sure to ask your sewing and knitting friends to save their odds and ends of fiber for you. You can also send for samples or pick some up while you are shopping at yarn stores. This way you will obtain a useful collection of fibers at very little cost or no cost! Fabrics, ribbons, and other add-ons that add dimension to your scrapbook pages and gift cards don’t have to be expensive either. While special packs usually come filled with beautiful colors, shapes & sizes… craft stores often have great deals on small samplers, leftovers, and damaged items that can be picked up on sale. Your best bet is to stock up things like beads, ribbons, buttons, and other fun adornments (like those you typically find at after-holiday sales) while they are marked down in price. That way, you’ll never run out of creative ways to add fun embellishments to your cards and pages. And, if you just look around the house — in your junk drawers, old craft boxes, and your sewing kit — I bet you’ll find even more fun items that would made great embellishments! When it comes to fonts, your printer is your best friend as far as journaling for quotes and titles is concerned. Learn to change colors and sizes in a word processing program, then print out your journaling and titles onto the cardstock of your choice. Dress up your titles by punching a hole in each side of the cardstock, and threading fibers through the holes, as you would for tags. Or punch holes all round the title and thread fibers through the holes for a different look. Fancy embellishments (such as for a wedding) can be very expensive. But if you take a close look at how they’re made, you’ll notice that many are done by hand using die cuts or punches. And you can usually do this yourself! As an example, one of the prettiest wedding page embellishments is the white, decorated wedding dress. To make your own, use a rubber stamp, or draw the shape of a dress on white cardstock. Then, cut it out, turn it over… and you have your basic shape to embellish. Use glitter pens, add white sequins, tiny bits of lace or embossing powder to give your tiny wedding dress extra sparkle. Add a small scrap of white net for a veil and you have an embellishment that would cost a lot more to buy than to make yourself. Be sure to set some time aside just for creating embellishments. Only you know what colors and styles you like best and are likely to use most often. Keep in mind your favorite types of embellishments and try to recreate them using scrap materials and tools that you already have on hand. Crafting with cards and scrapbooks is great fun and a wonderful outlet for your creativity, but you may find that making your own embellishments makes your hobby even more fun!